After my Rhinocertaur I was thinking of a ghost centaur. So here it is. It replaces the Regular Centaur or Murphataur depending on which download you pick. You can get it here. I like the concept, and how the head is based on a Trovian's skull, and the little tailbone. But I wanna see a little more skin if you know what I mean ... (It transitions too quickly in transparency). Looks really nice. 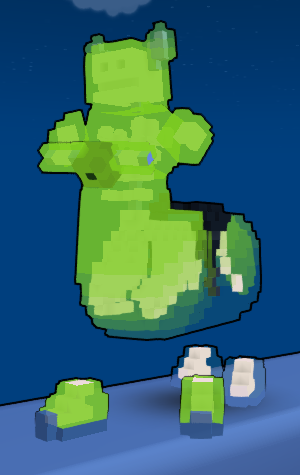 Love the head, but as someone already said, it changing into transparency looks... Weird, like water. Also I suggest you make the ribs more consistent, it looks unbalanced, horse skeletons may look like that, but it looks a bit odd, maybe make the ribs shrink more gradually? 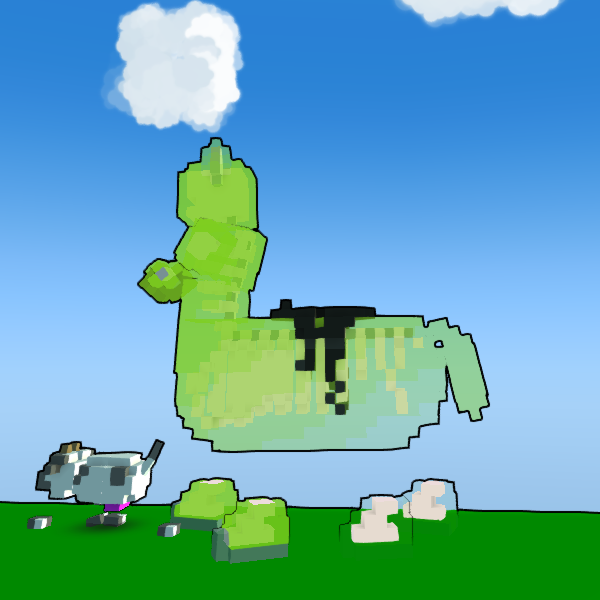 Goodbye Trove, you can thank MoP for this. cool a ghost centaur thats awesome and a good idea nice job. really like it! only thing i would change if I could would be the color. its really similar to the Baleful Bulltergeist color. I would use Yellow or Red. I'm not sure how you mean. 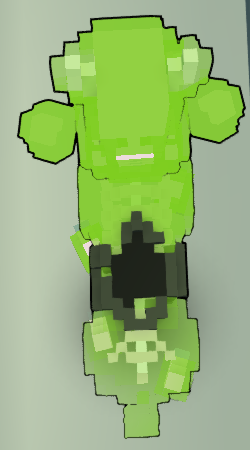 The transparency is too quick, yet you want more "skin"? So more darker color, yet slowing the fade out would require less color (with more of each faded stage). You say it looks like water. I don't think that's weird. I wanted it to look like it was dissipating. I think of ghosts/spirits as not entirely present. As for the ribs, you're saying maybe add a couple more to have more balance to it's backside? The existing ribs only shrink by one block each rib. I do start with two that are the same. I could make a file with two of each stage and if I keep the same number of stages, that would add a couple more ribs. 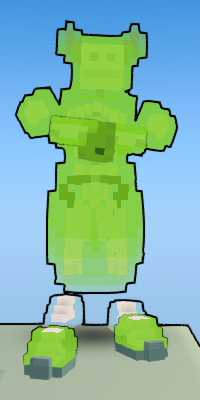 I find Trove and centaurs in general to be goofy. When I think of goofy ghosts, I think of Slimer and thus went for a Slimer-ish green. Although, currently it is all one color, I could maybe work in some spots of a more yellow color. 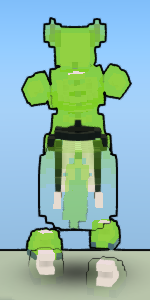 The way Trove handles transparent blocks could make for some interesting coloring depending on the angles. All in all, some great feedback. I'll be busy all weekend, but I'll be sure to try a few things out come next Monday (Mod Day!). OK I think the two stages thing is a good idea, if it looks bad tho when you test it, don't add it. Also I think a more gradual fade would be better, again though, if you don't like it, don't add it. I read it as 'Phatataur' so my first impression was that is was a gummy bear. Looks very nicely. But a bit odd-ish but its just me! Love the colors and everything - amazing and well done! looking forward to be in-game! Are you under Mastery 20? Click this link to get FREE class coin!